The search box in each price range filters the listings by whatever search criteria you select. You can type a house number, address fragment or city to filter and display listings. You can also select by typing any text string like active, NEW, Pool, Acreage etc. in this box to filter listings in any price range. As marked on the top left corner, the display can be set to 10, 25, 50 or 100 listings at a time. 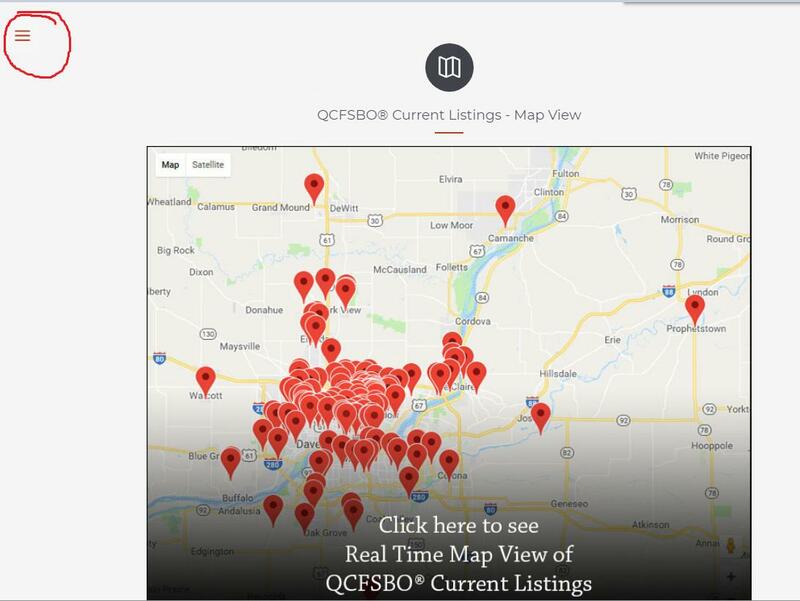 Click on the "map view" on our listing page to see listings by location. Click on the burger menu (also known as 3-line menu) on our listing page to view menu options on this page. 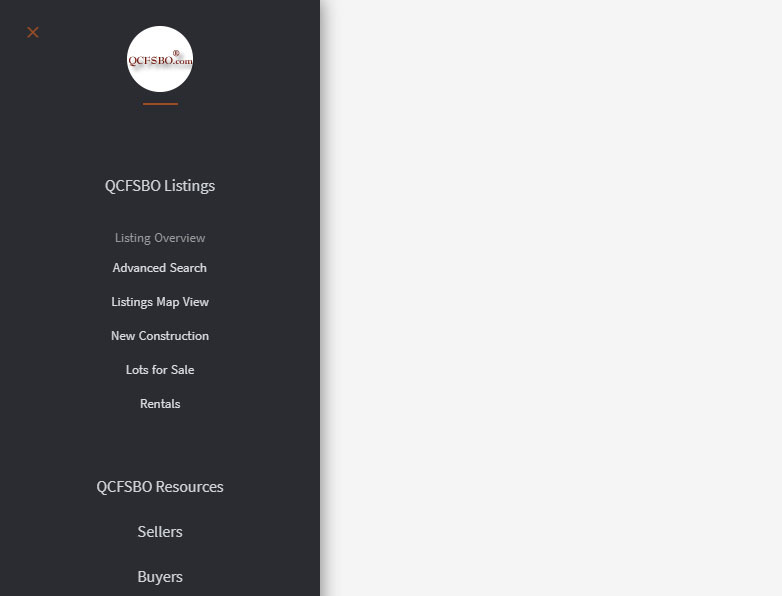 The advanced search feature is on this menu under "QCFSBO listings". 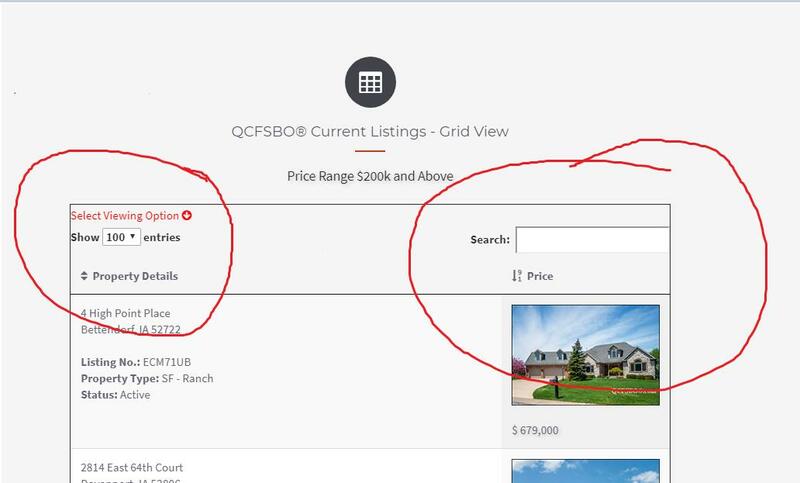 This feature, as before, allows you to select and filter properties by multiple search criteria. As shown above, the "Advanced Search" option is on this menu. You can use this feature to filter listings by multiple criteria.